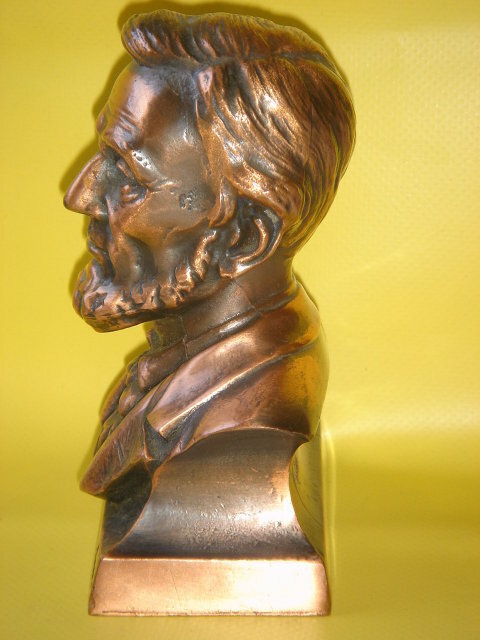 COLLECTOR this is a UnUsual model of Lincoln....AND IN BEAUTIFUL CONDITION. 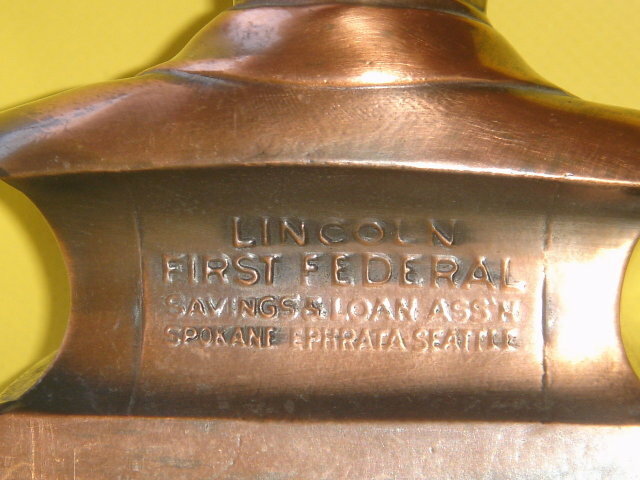 ABRAHAM LINCOLN FIRST FEDERAL SAVINGS & LOAN Assn SPOKANE- EPHRATA-SEATTLE Coin Bank. In Excellent Condition. Copper / Bronzed Finish. ______Shipping WITHIN Canada $16.08 __Shipping OUTSIDE Canada is to the UNITED STATES of AMERICA _Washington State $20.83 _California $22.27 _New Mexico $22.27 _NEW YORK $26.77 Florida $26.77 _Alaska $26.77 _Other Countries will be More__DOUBLE BOXED ___Ships Fully Insured and with a Tracking Number for GoAntiques Shoppers Peace of Mind. 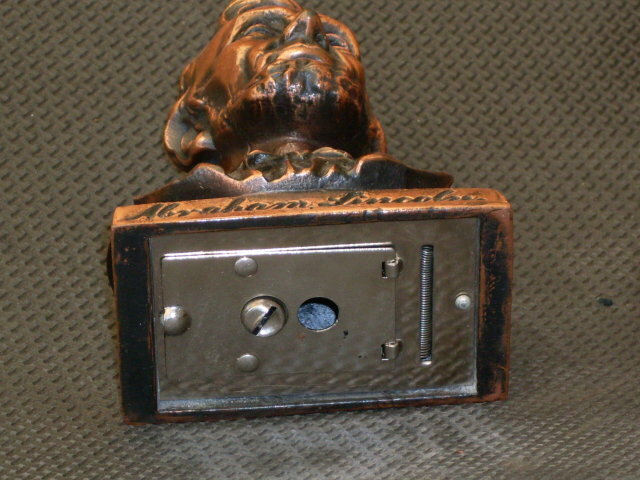 __________CURIOSITY COVE FURNISHINGS LTD established 1982 AND MEMBER of GoAntiques Since year 2007. __WE WELCOME PAYPAL, The PINK INTERNATIONAL US POSTAL MONEY ORDER or in Canada The Canada Post Money Order in US Funds. 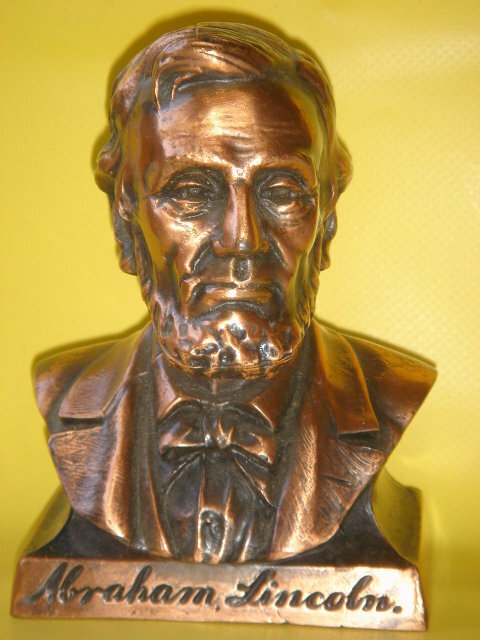 Items Similar To "COLLECTOR UnUsual Model of COIN BANK ~ Abraham Lincoln Coin Bank ..."